Why use Post My Gold? At Post My Gold, we make selling your gold and platinum simple. That’s why we are the UK’s most trusted gold buying site. Selling your gold, platinum, palladium or silver is simple. Just contact us for a FREE Gold Pack, fill out the form, then post your gold and platinum back to us. 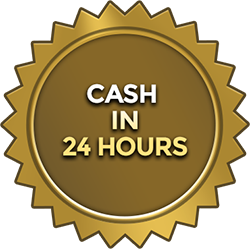 We aim to give you a quote within 24 hours. Easy. Order your FREE Gold Pack and find out how much cash you are sitting on. FREE ROYAL MAIL POSTAL INSURANCE. Sending your gold to us is free and secure. Our FREE Gold Pack comes with the Royal Mail’s secure package insurance. We aim to give you a quote on your gold and other precious metals within 24 hours. Most customers are delighted with our offers, but should you decide not to sell, we’ll send your gold back to you completely free of charge. If you’ve received a better price from a different company, we’ll beat it with our unbeatable price match guarantee. We are experts in precious metal buying and selling, and can help you get the best price for your gold. We also buy platinum, palladium, and silver. Request your FREE Gold Pack today. Fill out a contact form and your FREE Gold Pack will arrive as soon as possible. Call us today on 01753 693 850.